On the auspicious occasion of Vinayaka Chaturthi, several first look’s of various films were released today. But one poster which caught the attention of many was NTR’s Nannaku Prematho. 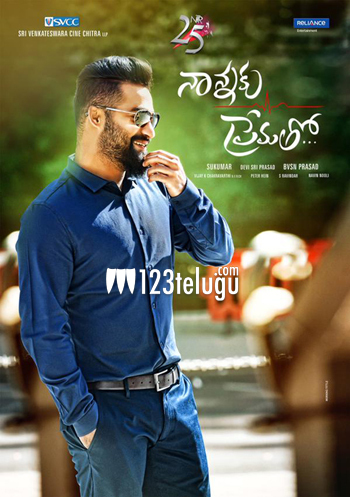 Directed by Sukumar, this film has NTR in a complete new look sporting a stylish beard. As soon as the posters went live, NTR fans were filled with joy to see their star hero in such a posh look. Shooting of the film is going on in London currently and Rakul Preet Singh is the female lead. BVSN Prasad is the producer and Devi Sri Prasad composes the music.